What Is Your End Of The Year Strategy? Did you know that last year 31% of ALL GIVING in the States occurred in the month of December? Or to put it this way, did you know that 12% of giving occurred in the last three days of the year? That’s right. 12% all in 3 days. Did you know that twenty-five to thirty percent of ALL DONATIONS come in at the end of the year (November and December). 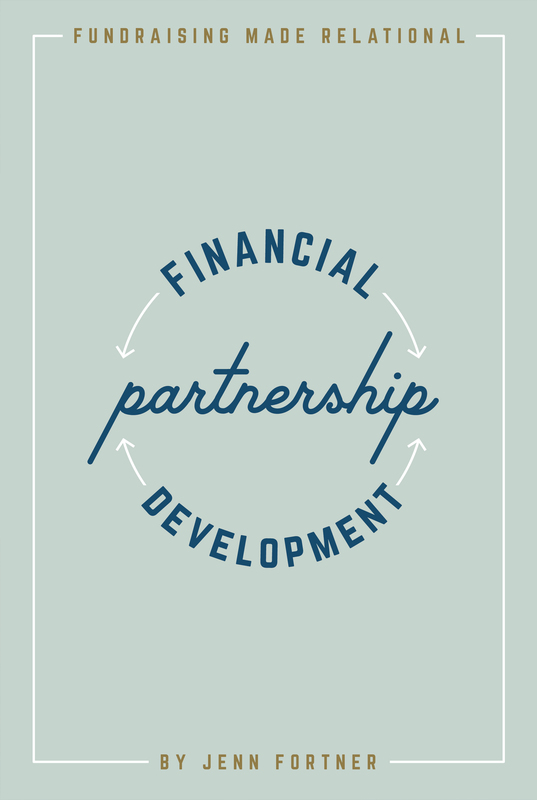 Thus begs the question: Do you have a end of the year strategy for financial partnership development? If the answer is no, or you were even tempted to coast in November and December and simply eat Christmas cookies, Christmas shop, and watch Elf and/or the new Star Wars movie 6 times in one week… I plead with you to keep those percentages in mind and reach higher. Why? Because people are going to give – and they want to give to someone they know. Thus you may want to figure out how that giving can be to you and your ministry cause. 1. SEND OUT A REGULAR NEWSLETTER at the beginning of November, even if you have done one recently. 2. CREATE A CHRISTMAS / END OF YEAR LETTER Sometime before December 31st (think about sticking it in the mail the day after Thanksgiving) send out a end of year letter to your existing financial and prayer partner list. Switch this up from a regular newsletter. Use a slightly different template than a regular newsletter and maybe make it more like a letter. Don’t send an ask end of year letter to anyone who recently (probavly within the past 2 months) started giving (or gave 1 time) or recently increased their giving. Maybe just send them Christmas cards instead. You don’t want to overwhelm them with too many asks. Consider creating a different version of your end of year letter maybe those who haven’t started giving yet or didn’t give when asked. Change particulars as needed for the audience. Perhaps for people who have said that they can’t give – give them a soft opportunity to give but change the thankfulness for being on your support team and instead thank them for their prayers and involvement in your life. Snail mail your end of year letter. Try and set up the appointment sooner than later. If they cant meet before the end of the year, put something in the calendar for January. Allow a couple of extra weeks to put something on the calendar. 4. SEND YOUR FINANCIAL PARTNERS / PRAYER PARTNERS CHRISTMAS CARDS / SMALL GIFTS. December is a great time of year to express your thankfulness to your support team. Go above and beyond that newsletter! Either send a Christmas card after your newsletter or perhaps with it. Christmas cards should be handwritten and possibly include a small gift of thanks. It can go a long way in letting your financial partners know you care about them. 5. CREATE A FACEBOOK CAMPAIGN IN NOVEMBER OR DECEMBER. A well crafted, intentional, relational Facebook campaign can be helpful during these months of giving. Keep in mind, this is only if you have gotten far enough in your financial partnership (75-80%) to start one. 6. SEND OUT AN EMAIL ON DECEMBER 29th or 30th. Include the following. Don’t include a formal ask. Just thank yous and the graphic on how to give online. 7. DUST OFF YOUR CONTACT LIST AND TAKE ANOTHER LOOK AT IT. Now is a good time to go back to the beginning of your season of itineration. Dust off that old initial contact list and go through it with a fine comb. As you comb through it create a new list of those you were not able to get ahold of, those who have committed to give but haven’t started yet, and those you never asked because you got too scared (whhaaatt you say?! How did she know that?! ), and those that you just simply have yet to ask. Take that list and get back to contacting them about joining your team. BONUS POINTS: As you go through your list text / email / Facebook message those that are highlighted to you and just say hi. ‹ PreviousHere I Am, Or There You Are? excellent. as always!! Thanks Jenn!! Wow, wow, wow… What else is there to say Jenn? You’ve laid it out so plainly. Thank you! !